All FlowTech LTE harnesses feature FlowScape breathable comfort pads with air-flow ventilation for improved comfort and reduced heat and mositure buildup. Their exclusive design allows the pads to breathe when you move by pushing and pulling air in and out through the ventilation holes. 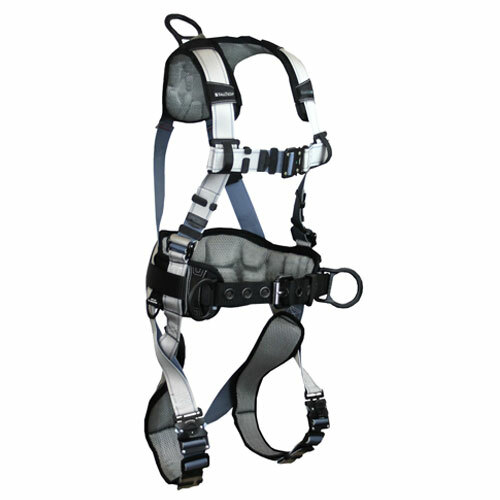 Coupled with lighweight aluminum D-Rings, FlowTech LTE is the lightest harnesses in its category and configured for Fall Arrest, Work Positioning and Climbing applications.